Blower motor problems can cause many driver complaints. Anything from no air circulation to annoying or noisy operation. At the bottom of this page is a video that’s very popular. It reviews best practices for diagnosing common electrical problems. Finding the location of the fan assembly is a good place to start diagnosis. The ac blower motor is usually located in the AC duct housing or heater case assembly. They always mount the interior fan near the evaporator and heater cores. 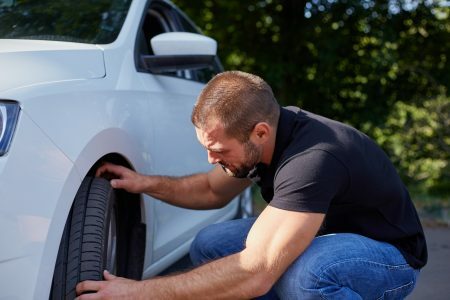 Depending on the year, make, and model you may find this component both in the interior cabin area or outside in the engine compartment side of the firewall. If it’s in the engine bay you’ll most often find it near the firewall. You can use the component location diagram in your online service manual to pinpoint the specific location of the squirrel cage (fan blades). I can’t tell you how often I have found a critter nest in the heater case. 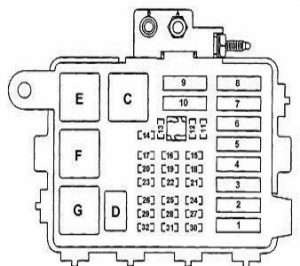 Location diagrams will also point out important parts in the climate control system such as relays, switches and fuses. Be careful, on some vehicles when the engine is running the interior fan is in constant operation at a low speed. GM called this astro ventilation. This is to provide an ample supply of fresh air in the interior compartment even when no climate control mode is selected. I believe General Motors first used it in the 70s. On vehicles with early climate control systems the fans may not activate until the engine reaches a specific temperature. This is to prevent the circulation of ice-cold air on cold winter days when heat is selected on the climate control. Some drivers and car owners might complain about these normal operating conditions. You can’t fix what is not broken. Its a good idea to check other like models to determine if there is a problem, or is it just operating as per design intent. Pictured on the right is an interior fan resister assembly from a late 70s GM car or light truck. Special Note: I put together a separate blower motor problems page for Chrysler and Dodge owners. The blower motor resistor assembly is a common malfunction on them. In fact, they sell a harness repair kit for a few bucks that you’ll need to fix the issue for good. I also have a page focused on four GM HVAC issues on cars and trucks from the 2000s. The resister block used on many models is coupled with a control module. It’s used to control the output speed of the blower motor. A resister block will adjust its total resistance as selected by the driver from the switch. As more resistance is applied to the circuit the slower the interior fan motor will spin. When I diagnose electrical problems, I start at the load and work my way back through the circuit towards the battery. However, when it comes to the interior fan I will usually go right for the fuse and check that first. Often there are two separate circuit fuses and they can be in separate panels. As an example on GM cars from the 80s and 90s there’s a 20 amp under the dash. There’s also a 30 amp Maxi fuse in the engine bay convenience center. With the amount of current or amps flowing through this circuit, spikes can easily take out the fuse and damage relays. If you do find a burnt fuse continue to test the system and try to find out why it got toasted. Two common reasons for this to happen would be drawing too much amperage or a problem with the resister block mentioned above. I have a dedicated page on how to find electrical shorts if you need more assistance in that area. If you check all the fuses and they’re good, the next recommended step is to continue diagnosis by using a test light. Even better an automotive meter to verify good power and grounds at the blower motor. I often find DIY car mechanics will skip checking the ground and move right onto parts replacement mode if they find voltage to the fan motors. Remember, you need a good ground to complete the circuit. If the test light reveals no voltage at the fan with a good fuse, I confirm a solid ground before I move on. Next I’ll head to the resister block assembly and check for power coming out of the resister itself. They often locate these parts in the heater case near the blower motor. If your test reveals power going into the resister with a solid ground present and nothing coming out, a failed component becomes likely. Make sure you check the connector side for damage. These resistor modules often fail from heat stress that can melt plastic connectors. They mount the resister block in the air conditioner or heater case, because of the generous amounts of air flow. That’s why they’re not far from the squirrel cage itself. They do this for cooling purposes. Nevertheless, often when this component fails, it suffers catastrophic heat damage. This means when you remove the part you will instantly see that it has melted spots. It could also smell like burnt hair. Fixing your own problems in this system is usually well within the reach of the average do-it-yourself mechanic. The diagnostic charts provided in car repair manuals are often very basic and servicing the parts doesn’t require any special tools. Watch the example video below. The replacement of parts in the blower motor system are some of the easier repairs to perform on the automobile. However, there are a few vehicles out there that make it extremely difficult. You’ll have to decide on your own if this is within your skill level. 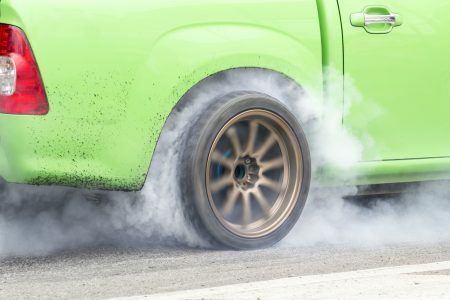 Bookmark this automotive AC blower page or share. Learn how the rest of the climate control system works and discover why interior fans are an important part of the automotive AC system. 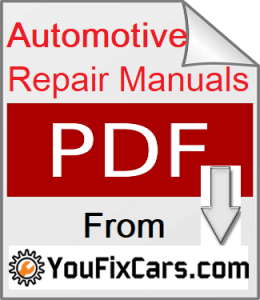 You can learn more about this auto repair website over at the Homepage for YouFixCars.com.